Meet the Snoopy Cast & Production Team — Beaumaris Theatre Inc.
Snoopy - The Musical brings together an all-star cast lead by an extraordinary creative team. Featuring a mix of new and familiar faces to the Beaumaris stage, we are thrilled to be working with such a talented group! Danny is probably best known in the theatre community as a pianist and musical director. Since arriving in Melbourne in 2004, he has worked on countless shows in various capacities for numerous companies, his first being Smiley - The Musical with Beaumaris Theatre. Danny's involvement with Beaumaris has continued over the years as an MD, pianist, composer, set and logo designer, committee member and, in more recent years, an adjudicator for their in-house Talbot Awards. A personal highlight was having Beaumaris produce his original musical, Dreamchild - Alice’s Musical Adventures' in 2006. Along the journey, he has garnered a number of Guild, Lyrebird and Talbot awards and nominations. 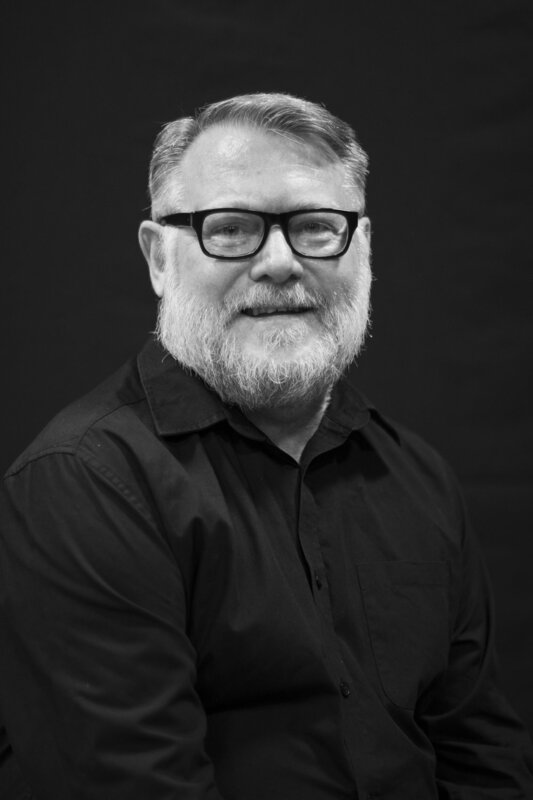 However, as a director, Danny's a relative novice, having only directed twice previously - University of Queensland's Amardian Players' 1986 production of Godspell, and Beaumaris Theatre's highly-acclaimed and award-winning 2010 production of I Love You, You’re Perfect, Now Change. In both shows, Danny was also Musical Director and played the piano for rehearsals and performances. Snoopy- The Musical marks his first experience cutting the familiar ties of his security blanket - the music... and just directing. Tim has been playing the piano since he was too short to reach the pedals. In that time, he has worked on many musical theatre productions as musical director, keyboard/piano player, and occasional performer. He also has much experience accompanying for concerts, cabarets, eisteddfods, auditions, and exams. Performance highlights include touring China with Silvie Paladino, Assistant Musical Director for CLOC's Wicked, and playing the piano for last year's Musical Theatre Industry Night at Dracula's. Kristy has performed in, choreographed and directed many musicals and plays and corporate productions for Universal Studios, Estee Lauder, Microsoft, Formula 1 Grand Prix and many of Melbourne’s independent schools. In 2013, she played the title role in the world premiere of 'Goldilocks' for West End composers Anthony Drewe and George Stiles. Following this, she performed in the Asian premiere of 'Edges: A Song Cycle' and two Australian tours playing Sally in 'Dr. Suess’ The Cat in the Hat'. Kristy has performed in many community shows and won the 2016 Lyrebird Award for Best Supporting Actress. She most recently choreographed Singin’ in the Rain with Babirra. Kristy studied dance at Brent Street Studios (Sydney) and holds a BA (Hons) in Musical Theatre from LASALLE College of the Arts (Singapore). She also owns her own dance studio, Griffin Dance Studio, based in Kew. Tony has been floating around the stages of Melbourne’s theatre scene for almost two decades but is making his Beaumaris Theatre debut as Snoopy in Snoopy - The Musical. Tony's most recent outing was as Ko-Ko in the WMTC production of Hot Mikado earlier this year. Tony has many theatre credits to his name but lists among his favourites are Caractacus Potts in Chitty Chitty Bang Bang (Babirra) which earned him a MTGV nomination for best actor, Man in Chair in The Drowsy Chaperone (CLOC), Lord Eveline Oakleigh in Anything Goes (Whitehorse), Mr Mayor in Seussical (Whitehorse), Basil Fawlty in Fawlty Towers (LATC), Hysterium in A Funny Thing Happened on the Way to the Forum (Fab Nobs Theatre), Eddie in A Slice of Saturday Night (Fab Nobs Theatre). Rourke has been an active performer on guitar and vocals for several years and made his amateur theatre debut in February 2018 as The Baker in BottledSnail Productions’ staging of 'Into The Woods'. Broadway recordings were the soundtrack of many of Rourke’s childhood car trips - an effective indoctrination technique instigated by Rourke’s parent’s, Jo and Rob. Ashleigh has been performing for most of her life. Her theatre credits include Dora Bailey/Miss Dinsmore in Singin’ in the Rain (Babirra Music Theatre), Woman #4 in Is There Life After High School? (PEP Productions), Brenda in The Pajama Game (OSMaD), Mary Poppins (CLOC), Lorraine in All Shook Up and Logainne Schwartzandgrubbiniere in The 25th Annual Putnam County Spelling Bee (ARC Theatre), Dainty June in Gypsy (Waterdale), and Phyllis Dale in 42nd Street (Nova). Nic began performing from a young age with his first role in theatre as a child orphan in Oliver with Opera Hunter. Other highlights include The Tinman in The Wizard of Oz, Jack and the Beanstalk, Cinderella and Bugsy Malone (Young People’s Theatre) and Glad Han in West Side Story (HSPA) before moving to Sydney to become a Flight Attendant. Whilst in Sydney, Nic trained with Darlinghurst Theatre Company before than studying Musical Theatre at NIDA where he was in a production of I Love You, You’re Perfect, Now Change. Nic’s most memorable moment to date was when he was selected from the audience by Broadway actress Idina Menzel to sing with her and the Sydney Symphony Orchestra at her 2013 concert. Nic made his Melbourne debut in 2017 as the Arbiter in OSMaD’s production of Chess - The Musical and was most recently in Singin’ in the Rain with Babirra. Candice is an acting graduate from The National Theatre and holds a Bachelor of Creative Arts in Drama. Performing in both plays and musicals, Candice was the recipient of the Lyrebird Award for Best Supporting Actress in a Drama 2016. Notable roles include Sylvia in Sylvia, Princess Fiona in Shrek, Emilie in Dangerous Liaisons, Vivienne in Legally Blonde, The Beggar Woman in Sweeney Todd, Angela in Secret Bridesmaids Business, Annelle in Steel Magnolias, Jane Smart in The Witches of Eastwick, and Mary O'Brien in Dusty. This is Candice’s second show at Beaumaris Theatre after playing The Narrator in Joseph and His Technicolour Dreamcoat in 2012. During the day, Candice works as a drama teacher and children’s entertainer. Allie is stoked to add the cheeky and quirky role of Peppermint Patty to her list of roles where she’s played a kid having previously played Lucy in You’re a Good Man Charlie Brown (UMMTA) and Logainne in The 25th Annual Putnam County Spelling (BLOC). Allie has been performing in Ballarat and Melbourne over the past 15 years with favourites being Lucille in Parade (Bottled Snail Productions), Julie in Carousel (Babirra), Old Woman 2 in Les Miserables (CLOC), Sweeney Todd (OSMAD) and Jennifer in I Love You, You’re Perfect, Now Change (BLOC). Off stage, Allie directed A New Brain with UMMTA and has written and performed 2 Cabarets ‘I Could Have Been an Actress’ and ‘ ‘8 Years On; Definitely Not An Actress’. Dan grew up on the sunny west coast in a little town called Perth. He started ballet at 8 and eventually moved to Sydney several years later to study commercial dance at Brent Street Studios. He was a member of the contemporary dance company Dirty Feet before moving to London for a change of scenery and a bit of travel. After taking a break from dancing for a few years, Daniel moved to Melbourne to study marketing. He returned to the stage last year for CLOC Musical Theatre's production of A Chorus Line and again for Strictly Ballroom. Snoopy - The Musical runs from 9 - 24 November at Beaumaris Theatre. Click here to book your tickets today.